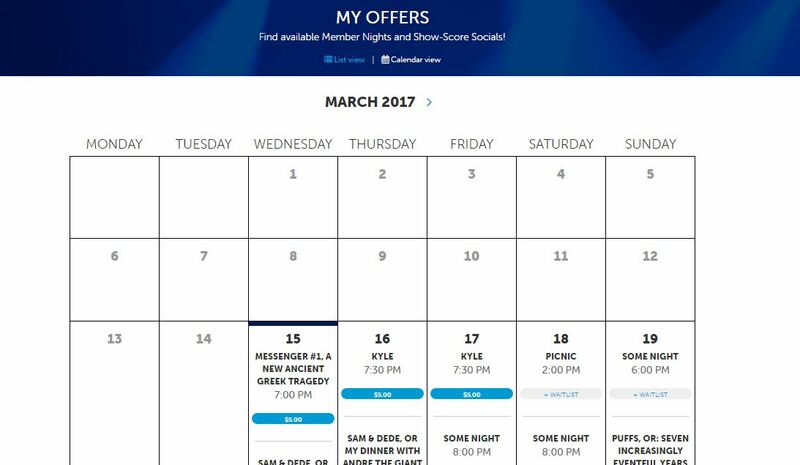 Where can I see available Member Night offers? Click on the small drop down triangle at the upper right hand corner of the screen and click “My Offers”. You'll be taken to a page that lists all available Member Night and Show-Score socials. You can choose List or Calendar view.